This topic contains 4 replies, has 3 voices, and was last updated by thePizzaFox 1 year, 1 month ago. 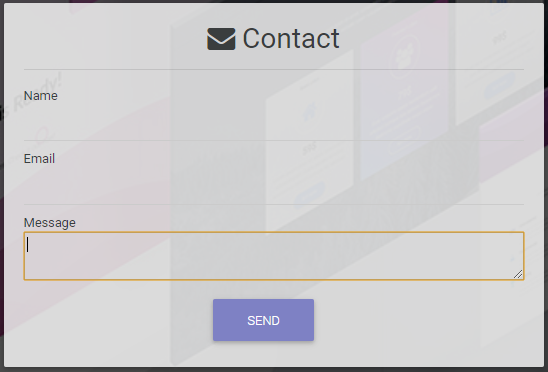 I’m trying to setup contact forms and the text area for the message isn’t formatted with material design (unstyled). How can I get the textarea to look like material design? I am sorry for your inconveniences. Does the problem still occur? Could you also provide me with your website URL so we could check what’s wrong directly? I updated my MDW installation and the problem persisted. I don’t have a WordPress instance running, so unfortunately I can’t provide a live sample. Now the textarea should look fine. Just implemented this. Works great. Thanks for your help.